RT @originalphb: @Beer52HQ hi. I’ve tweeted and emailed re Yodel delivery and no one has replied. 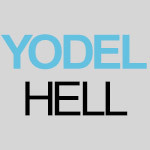 RT @CAROLYNNATALE: @Nick_F3D @YODELhell Very use Yodel, after a nightmare delivery service I closed my account with them.